Students were eager to engage and asked good questions. The students wouldn’t get aggressive about % reduction- best they’d offer was 2%. The Developed world was resistant to working with the other groups. I got a lot out of working with these engaged young adults. They have a lot of energy and they are into learning. 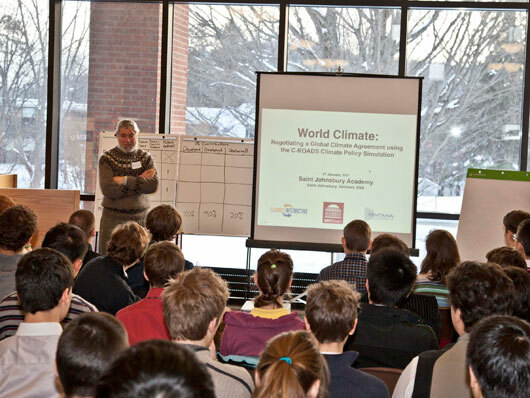 Videos of the exercise at Dartmouth and elsewhere may be found on the Climate Interactive website.